It’s time for another superfood post! While certain foods like kale, wheatgrass, or pomegranates often take the spotlight, I want to focus on the less well-known papaya. 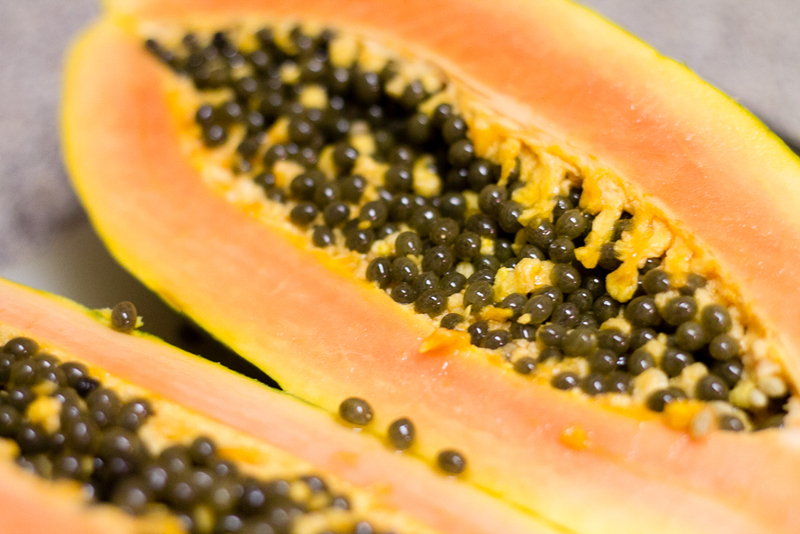 Worshiped by the Mayans and called the “Tree of Life”, the papaya is an incredible fruit. 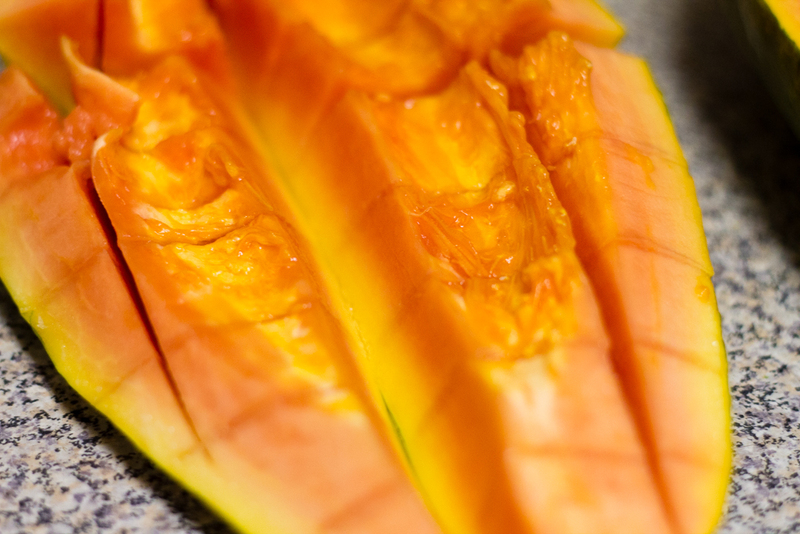 With 33% more vitamin C and 50% more potassium than oranges, packed with vitamins, calcium, magnesium, and zinc, papaya really is a life-sustaining fruit; it is one of the most A vitamin-rich foods in existence. Papaya also contains an incredible enzyme called papain which breaks down protein and aids in digestion by producing digestive enzymes. Papayas have even been proven to fight against several types of cancers and slow the growth of others-pretty incredible. Papayas protect against cardiovascular diseases, aging, blindness, and help to maintain blood glucose levels, encourage the renewal of muscle tissue, alleviate inflammation, and help with nausea. Need more reasons to try papayas? I thought not. Papayas also have amazing properties that make them excellent for skincare, so stay tuned for a post on keeping your skin looking its’ best with the aid of the amazing papaya. So. How do you get to the goodness that is the papaya? Super simple. Look for a papaya that has a yellow ring around the stem and patches of yellow on the skin. The skin should be slightly soft, but if the papaya is mushy or smells very sweet then it is overripe. 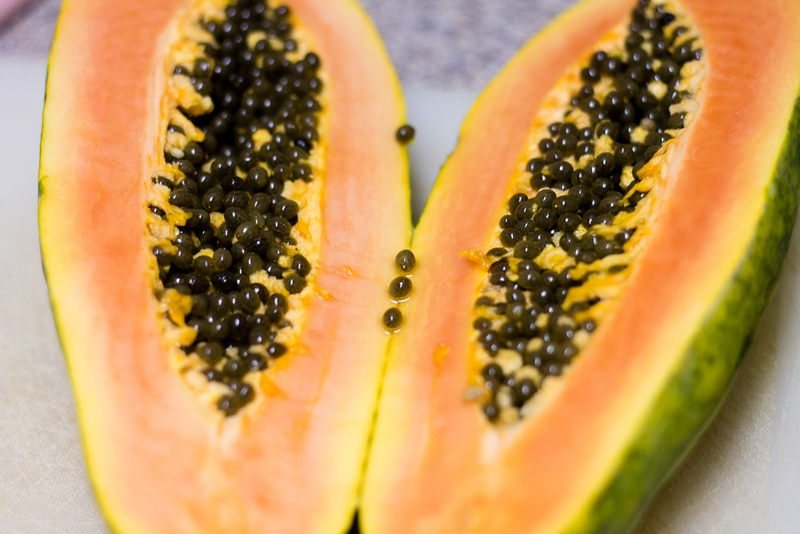 Slice the papaya in half, and use a spoon to scoop out the seeds (which look like caviar-so cool!). The next step is up to you-you can use a mellon baller, or peel off the skin and make papaya wedges. 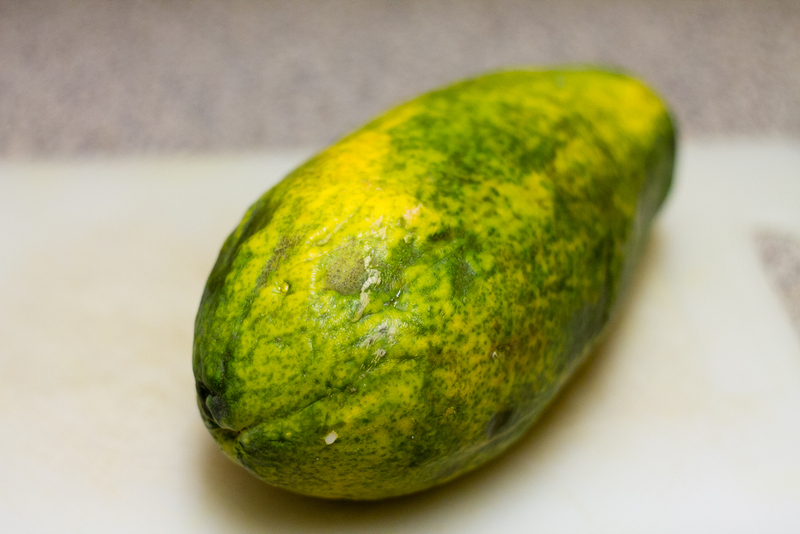 The method I chose for this papaya involved cutting it lengthwise and then across to create squares, and then used a knife to separate the fruit from the peel. 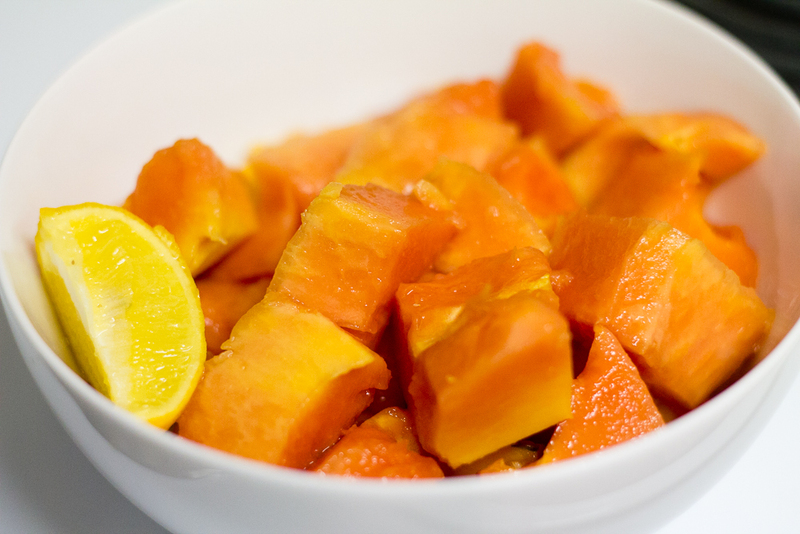 Serve with a squeeze of lemon or lime juice (the combo of the sour citrus and the sweet papaya is fantastic) and you are good to go! 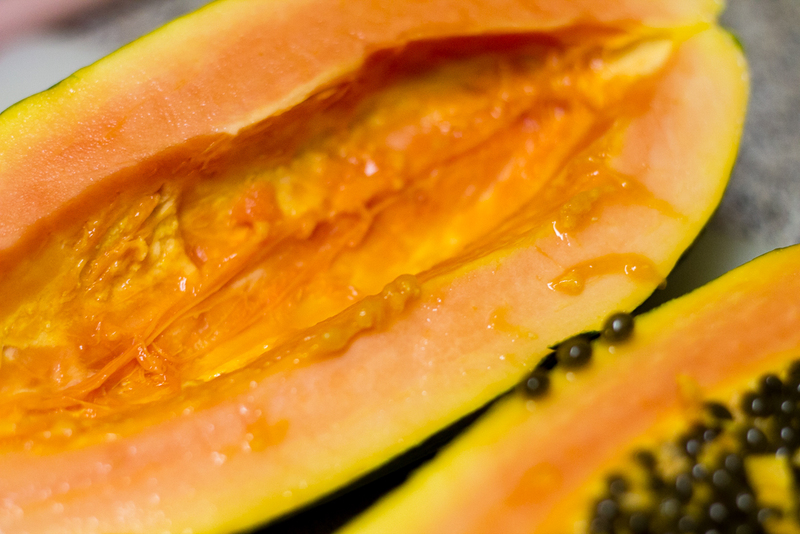 Papaya is an excellent addition to salads, smoothies, and more. 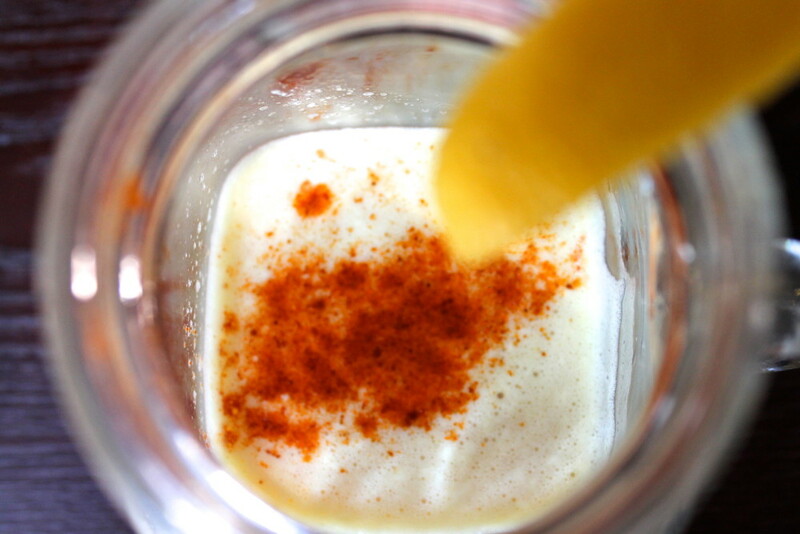 I’ll be sure to post some recipes featuring papaya soon!